Paul Bunyan Forest Riders MC, Inc. is a club consisting of off-road motorcycle enthusiasts based in Minnesota, with membership including surrounding states. We work closely with the Minnesota Department of Natural Resources to maintain the trails within the MN Martineau OHM Trail System in Akeley, MN. The club was incorporated as a 501c3 non-profit in 2007, and is supported by a MN Grant-In-Aid. Provide off-road motorcycle riding opportunities within the MN Martineau OHM Trail System in Akeley, MN. 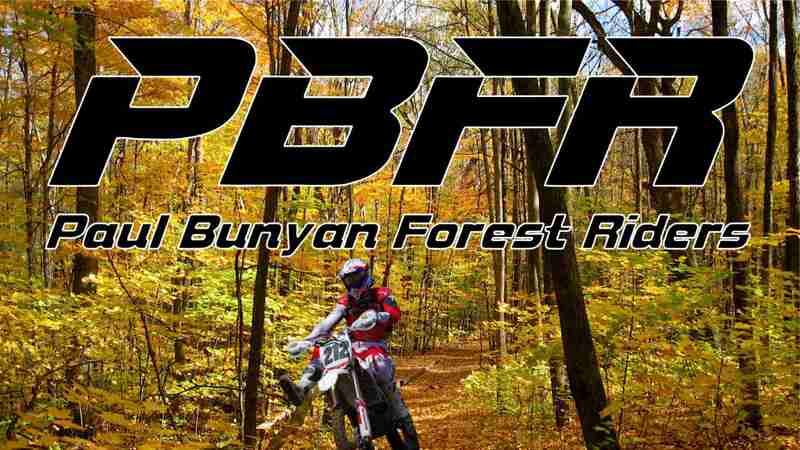 But of course, our primary focus is to enjoy the Paul Banyan Forest from the seat of our off-road motorcycles, while creating friendships and setting positive examples for our youth.